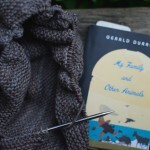 I’ve done more reading than knitting lately. I talked about Bel Ria on Monday, and am still thinking warm thoughts about this book, despite having finished reading it days ago. The story really affected me, partially I’m sure because I am and always have been a lover of animals. The main character is an intelligent and loyal little dog named Bel Ria and I completely fell in love with him, and the humans who were part of his life. I’ve also been reading and rereading the first issue of Kindred magazine. I bought from the second printing and received my issue a bit later than most people. I can honestly say that I am very impressed by this lovely compilation of essays, poetry and beautiful photographs all revolving around the theme of “Home.” I saw myself and even members of my family (specifically my maternal grandmother!) in the words of some of the contributors and truly felt that I was reading the words of “kindred spirits.” And I thought to myself that Amanda has done exactly what she set out to do with this magazine. I’ve just pre ordered issue two, and I can’t wait to receive it! Planning ahead for next winter, and continuing to knit through my stash, I started a little jacket for Silas. I was pretty excited when I came across this pattern (latte baby coat) and not only loved it, but had exactly one skein of Cascade Eco waiting in my stash for a project. You can’t tell, but that is actually the beginning of the hood. 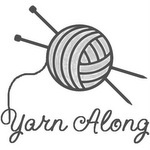 Hopefully this will knit up quickly, unlike other projects that I won’t name. Thank you for another great Yarn Along opportunity. The little fellow coat looks so sweet! Yea! I get to link up! I now have two Granny Squares to my name! I can’t wait to see how the baby coat turns out! Thank you for hosting. This book looks fine! Will try to find an norwegian translation. That’s going to be such a gorgeous little coat! I already adore the colors, can’t wait to see it coming along and then being completed. Kindred Magazine was a a pleasure to receive in the mail and then read, I also got it with the second printing. Looking forward to the next issue now! why is it that provisional cast on yarn always looks so good! Those colours are great together! 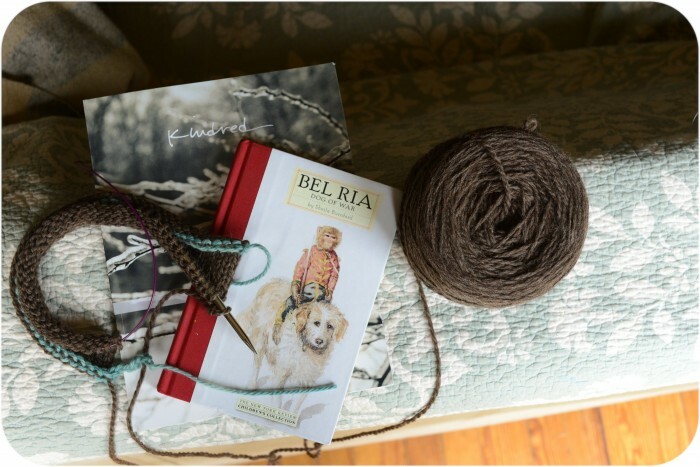 Bel Ria sounds beautiful – I’ll be looking for it at our library, thank you! forgot to add: saw your email re: the book. thanks for the warning! Not much of a reader, tends to make me sleepy, but generally take a few easy read books on vacation and read one Debbie Macomber book and am close to finishing the 2nd one on our most recent trip. Back on Blossom Street and Summer on Blossom Street. I’m missing the inbetween book Twenty wishes….which I didn’t realize initially. Oh well, she gives enough background it’s not too bad with the gap. love the blossom street books! Looking to re-read them this year. Bought all but one on ebay this week! Isn’t Kindred wonderful? Probably because Amanda is wonderful too! I’ve added Bel Ria to my list. Can’t wait to read it. Your recommendations are usually spot on! Thank you for hosting us again today! 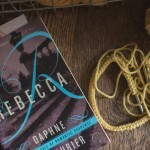 The book and knitting pattern sound splendid. I might have to go take a peek and see if it would work for a little girl too. Grace is wearing a 6x now and I feel me I can’t knit enough for her. I’ve been figuring out the gauge and adding an inch or so here and there to patterns because so many are created for little ones. I am hoping you will keep this in mind and share the ideas you have when it ting for your girls. I’ve never heard of Kindred before. Looks like a nice magazine. I am going to have to get that baby coat pattern, so cute. Thanks Jenny! Oh boy, that doesn’t look like a quick knit project to me. You’re much more ambitious than myself. What a darling little coat! And seamless – my favorite. The pattern for that coat is gorgeous! That is going on my list of “want to make” for sure! I can’t open the kindred link! the brown yarn mixed with the blue is lovely. i look forward to looking at kindred magazine. it sounds wonderful. I haven’t heard about Kindred before, I’ll have to check it out! That is a wonderful brown! Unfortunately I do know about those certain projects that knit slowly. The current project, the pink sweater for my older dd is that sort of project. It doesn’t help that when I knew I needed to rip back it would languish in the yarn bin waiting for me rather than me actually ripping back the lace for the millionth time. I’m glad you have such a sweet little pattern for Silas- those little quick toddler sweaters are fun and rewarding. Thanks for sharing the link to the coat – it’s just what I need for my little lady come fall. I do agree, Amanda has done something incredible!! That coat sounds adorable! And something that would be perfect for my son next fall! Thanks for sharing! I love Kindred too and thought of my grandmother while reading several pieces…she would have liked that. Hope you are safe and warm from all the snow…wish we were getting a little. I love the latte baby coat! I had to add that to my Favorites in Ravelry. I have so enjoyed the blog Habit of Being. I think I need to check out Kindred, too. SO fun to visit you here today! I love it when a book really gets under your skin like that. I had a similar thing with the Language of Flowers recently where the book finished long ago, is still ruminating inside my head. All of your reading sounds really great and worth a look. I am also preparing for next winter especially since we hope to be living in a much colder climate! Happy Knitting! You are planning ahead for winter, we are planning ahead for summer:) Love to read about all your activities! Oh no! Is the scarf still languishing. Why do they have to be so long?!? I do love Kindred and I even submitted a piece this time. I am ever so excited. Thanks for the heads-up about Kindred … off to check it out right now. Stay warm, dear!